At Claire Benoit’s sixteenth birthday party, all anyone can talk about are the recent werewolf attacks that have ravaged her town. Claire, however, is more interested in the flirtations of soccer god Matthew Engle, who graciously ignores the mysterious rash on her hands and ears. His attentions are the highlight of her evening—until she transforms into a werewolf! After learning she’s the latest in a long line of she-wolves, Claire is compelled to help her pack find and defeat the rogue werewolf who’s been killing humans—but she must keep her lupine identity a secret from her new boyfriend Matthew, whose father hunts her kind. 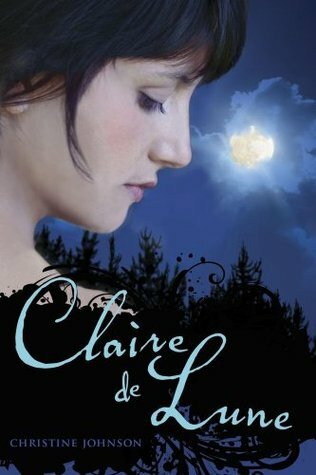 In Claire de Lune, Claire starts to have some weird changes on her 16th birthday. She’s getting rashes and having all sorts of weird cravings… and her mom drops the bomb – they’re both werewolves. Unfortunately, her new crush has a father who is trying to find the cure for werewolves and will stop at nothing to try and capture the lone werewolf who has been murdering humans near where Claire lives. I like the idea of only women being werewolves – as we often see the opposite. The plot moved forward and there’s a bit of mystery as to which werewolf is the one who is going around murdering these people. There’s glimpses into the werewolf as she goes to slaughter the next person and that really set the mood of the book into a darker tone – which I really liked. Claire doesn’t really react well to being a werewolf. She hates the thought that people would think badly of her if they found out her secret. Claire starts to experiment behind her mother’s back and also refuses to stop seeing Matthew. She consistently sneaks out when her mother is not around and tries to hone her changing to and from werewolf form. I really liked Claire – she seemed very much the modern teenager who wasn’t used to her mother being around and from that she really showed some independent thought and action. Matthew is not drool worthy, but he’s a nice guy – cute and fun for Claire to be with. He can almost distract her from all of her problems when she’s with him. Claire’s mother is very aloof, as are a lot of the werewolves – but they survive on instinct and are not reliant on human relationships. Thus the lack of a father figure in Claire’s life. I definitely cannot see much of me in Claire, but I do know a lot of teenagers like her. She’s very realistic and I appreciated that in Claire de Lune. I’ve been admiring this one for a long time (the cover is gorgous). I’m so glad you loved it, great review! I really liked this take on werewolf fiction. I am looking forward to the next book in the series. I am glad you liked it too. WOnderful review! I’ve been hearing positive and negative things about Claire. But I don’t really care about the latter. I still wanna read it. I’m happy you enjoyed this! I love the cover. The cover is one reason I’m wanting to read this. Great review. I hope to get the chance to read it soon. I have this on my list already! Great review! You and I always seem to agree on books. I know I will love this one too! Great review. I can’t wait to read this. Great review.